Nintendo is yet to reveal the official release date for Super Mario Maker 2. The only thing we know for sure is that the game will be out sometime in 2019. We'll most likely find out the game's release date at E3 2019, but it's possible Amazon might have let the news slip already. They've recently updated their listing for the game with a June 14th, 2019 date. No idea where they got the information from, but hopefully it's some early insight on the release date, and not just a mistake. "The only thing we know for sure is that the game will be out sometime in 2019." Meaning the game is coming on a Friday in June. So yeah the 14th of June has 25% of chance to be correct. Yeah I thought this was pretty common knowledge. That’s OK, RMC can’t be expected to remember every tidbit of Nintendo release details, though he comes close. I wouldn&apos;t be surprised if it was releasing June 14. Am I wrong or do they tend to keep similar dates for their releases, with second week of June being one of them (example: they almost always have a game releasing between November 18-November 22)? Switch - ARMS released June 16, 2017. 3DS - Animal Crossing: New Leaf released June 13, 2013. The only exception I can think of was last year, but that&apos;s probably because they had two releases last June and didn&apos;t want them close together, so Sushi Striker released in the first week of June and Mario Tennis Aces released later in the month. 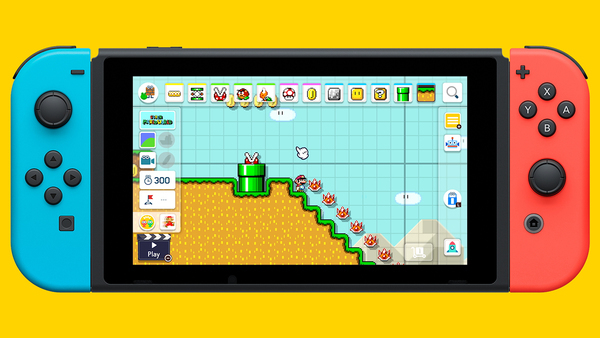 Since E3 goes from June 11-June 13 it would make sense for them to have a big presentation for this game at E3 and invite some of the more popular Super Mario Maker level designers on YouTube to come and make some levels with the "Tree House" crew that will be uploaded and ready to download and play on June 14. But then again, Nintendo isn&apos;t always known for doing things that make sense, so I could be wrong about all of that.